The New York State Senate voted unanimously to pass a state Assembly bill that bans construction of new waste incinerators in the Finger Lakes region. The bill, which won unanimous Assembly approval last week, now goes to Gov. Andrew Cuomo, who has 10 days to sign the bill into law. The legislation was written to put an end to Circular enerG LLC’s plan to build a $365 million trash burner on former Seneca Army Depot property in Romulus. 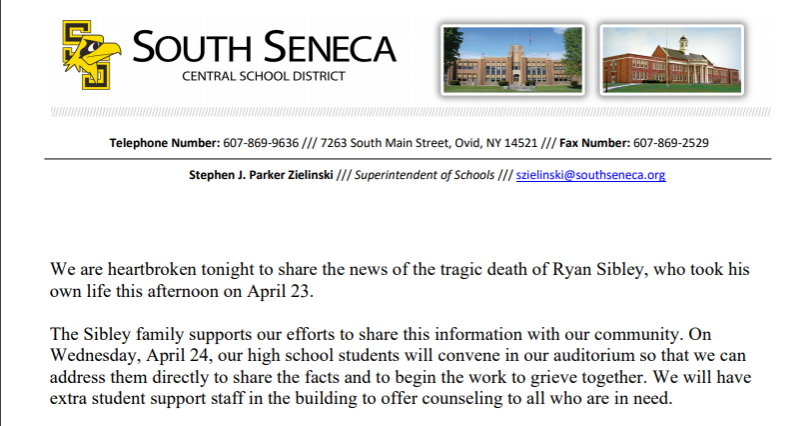 The site is midway between Seneca and Cayuga Lakes and less than a mile from the Romulus Central School. The plan stirred widespread local opposition, in part because the developers acknowledged that they intend to accept waste from New York City by truck or train. Circular enerG was formed in Rochester in January 2017, and it has declined to release details of its ownership. Alan Knauf, attorney for the company, said the state Legislature was “pandering to political pressure” by passing the legislation. But Knauf said he was still studying the legislation — A5029a —to decide whether it left any legal maneuvering room for the Romulus project to continue. He said he was puzzled by a provision said the bill would go into effect immediately and be deemed to be in full force as of Feb. 1, 2018. The bill blocks all permits for a new incinerators within the Oswego River/Finger Lakes watershed if there is a landfill with 50 miles and a state priority water body within 10 miles. That would block the Romulus site. Opponents of the bill say they expect Cuomo to sign it into law based on a public statement he issued last Spring. Joseph Campbell, president of Seneca Lake Guardian, a leading opponent of the incinerator plan, praised the bipartisan legislative effort to block it. The Senate version of the bill was sponsored by state Sen. Rachel May (D-Syracuse) and Sen. Pam Helming (R-Canandaigua), while the Assembly version was sponsored by members Michael Cusick (D-Staten Island), Barbara Lifton (D-Ithaca), Brian Kolb (R-Canandaigua) and Phil Palmesano (R-Corning). David Kaiser, Supervisor of the Town of Romulus, led the local opposition. “The incinerator is not wanted in our town, and the impacts of such a facility would be devastating to the health of our residents and to our thriving agri-tourism based economy,” Kaiser said. Campbell said 30 local governments and school boards and more than 500 environmental and business organizations opposed the proposed facility. 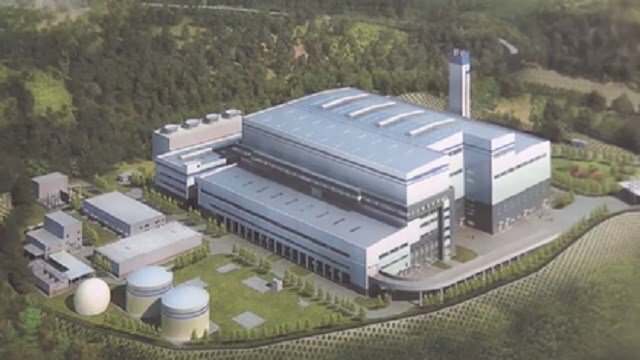 When it unveiled its proposal in November 2017, Circular enerG attempted to win local support to have the property zoned for a so-called “waste-to-energy” plant. It convinced a local zoning officer, Adam Schrader, to issue an opinion that the facility could be classified as a producer of “renewable energy.” Other town officials later disputed that, and zoning issues are now central to a pending lawsuit filed by Circular enerG. The company’s initial plan was to win local support and then seek a state operating permit through the state Department of Environmental Conservation under the state’s Environmental Quality Review law. However, as local opposition began to mount in early 2018, the company abandoned that path and announced that it would seek a permit under Article 10 of the state Public Service law. Knauf said state officials advised Circular enerG that it was required to seek a “certificate of environmental compatibility and public need” from a state siting board that rules on Article 10 cases. Last year, a bill to ban waste incinerators passed in the state Senate but was never called for a vote in the Assembly, despite overwhelming support from members. While the official explanation was that the legislation became entangled with an unrelated bill on cameras on roads in school zones, some speculated the incinerator bill had been intentionally sidetracked. Both Cuomo and then-Assembly Majority Leader Joe Morelle (D-Rochester) had received large campaign contributions from David Flaum, a Rochester developer who controls the company that owns the site of the proposed incinerator site. Morelle left the Assembly after was elected to Congress in November. The bill the Senate passed today has minor changes from the version that failed last year. Knauf acknowledged that the current bill clearly blocks an Article 10 permit. But he said the wording seemed to him ambiguous as to whether it also blocked a DEC permit issued under the SEQR law. However, the bill includes language that appears to foreclose any possible legal path for building a waste incinerator in Romulus: “No permit or any other certificate shall be issued or granted by the state” if the specified location conditions are met. And they are clearly met for the Romulus site. Knauf said he had not talked with Circular enerG owners. The Senate vote was 62-0. The Assembly vote was 134-0.